NASHVILLE, Tenn. (AP) — Republican Gov. 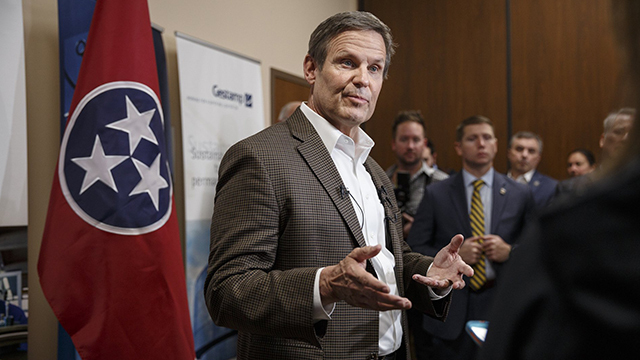 Bill Lee’s administration would include a faith-based and community initiatives division under a proposal making its way through the Tennessee General Assembly. According to the bill, the office would partner with a nonprofit to carry out the bulk of the work on addressing public safety, recidivism and opioid addiction. The governor would select members of the board and the executive director of the nonprofit partner. However, no state tax dollars are budgeted for the new office. Instead, the nonprofit would also be tasked with soliciting private donations from the public. Lee has backed the idea of the faith-based and community initiative office since running as a candidate for the top statewide seat. The measure has already cleared the House and advanced out of a Senate panel on Tuesday.